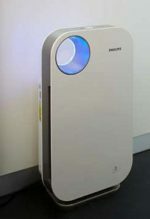 The Panasonic F-PXM55A Portable Room Air Purifier means business. 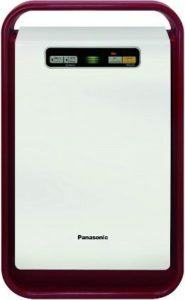 It is one such product from the Panasonic range of air purifiers which you would never regret buying. All the features which can be thought of in a non-humidifying air purifier are present. 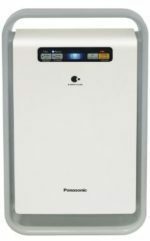 In just INR 25,700 as on November 2018 (Check Current Price), the Panasonic F-PXM55A Air Purifier is complete value for money. The Display of the air purifier is feature rich with buttons to control on the panel. There is a Light sensor which senses the light around the purifier unit and modifies its functioning accordingly. In night time for example, the sensor automatically switches the air purifier in silent(sleep mode) and turns off the LED display lights. We have compiled a table of its most important features and specifications for easy referral. 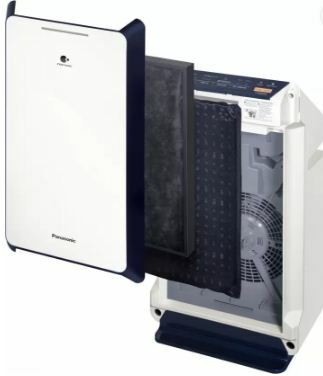 Panasonic F-PXF35MKU(D) Air Purifier is also a good option for smaller CADR 193 and coverage area 280 sq.ft. 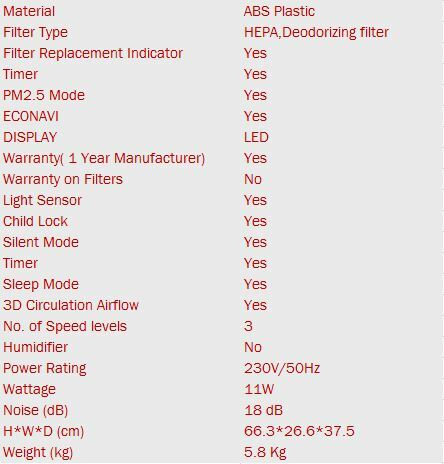 1.1 Buying Manual for the Best Home Air Purifier. Buying Manual for the Best Home Air Purifier. The coverage area is 452 sq.ft. 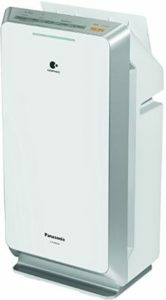 The Honeywell i8 Air Purifier is also a Great and much cheaper option with comparable coverage area. In those days of the year when the quantity of particulates in air is sky-rocketing, use the PM2.5 mode. You can easily come to know about PM2.5 values being high through News channels. There is a fix set of months like in winters when owing to atmospheric conditions and burning of paddy stubs in fields causes intense jump in PM2.5 levels. 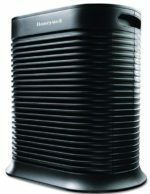 The Panasonic F-PXM55A air purifier removes 99.9% of the dangerous particles through its HEPA filters. There is also a child lock function in the panel. For those households where small kids make anything flashy their toys; it is important to protect both the kids and the air purifier unit from one another. Enabling child lock makes the panel buttons dysfunctional unless the child lock button is pressed again. 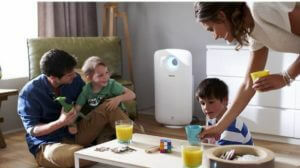 The Panasonic F-PXM55A air purifier has timer presets for 2, 4 and 8 hours. The air purifier ceases to operate and sguts down when the timer runs out. 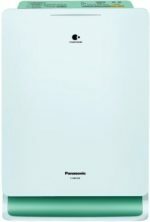 The Panasonic F-PXM55A Air Purifier has genuinely decent looks. The darker rims lend contrast to the purifier body. The white body is prone to get dirty quickly, so needs proper care and frequent cleaning. The purifier is available in Black and Very Dark Blue colors but check at the time of purchase. The dimensions are so designed to make the air purifier unit as tall and as shallow as possible to minimize required space. Overall, it is fairly good product from Panasonic and worth the money. 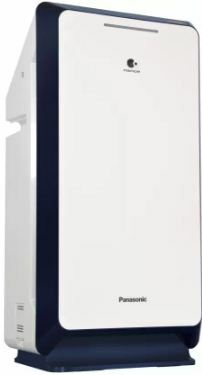 Panasonic F-PXJ30AHD Air Purifier – Buy or Not! 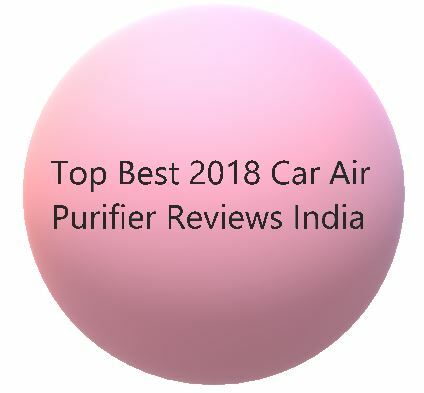 Yes, It is wise worthy using air purifier. They can clean your living environment air and you would get pure air.